Whether you have a bricks-and-mortar spa or a mobile one that provides relaxing massages and pampering manicures to your clients wherever they are, it’s crucial that your business has a presence online where your customers are located. Why is online marketing important? Well, for one thing, in many cases, it can be more affordable than that of traditional marketing methods such as TV, radio, print magazines and billboards AND it’s much easier for you to track your ROI which measures how much value you get for the dollar. In addition, you also have the flexibility to reach customers all over the world through several different platforms. Potential customers could find your website through Google searches or ads, Facebook ads, your social media profiles or word-of-mouth from other customers, but it’s your job to make sure that they can find you. In this post, I’m going to go over why online marketing in important for your spa, how to create and optimize awesome landing pages and different ways to help you generate qualified leads that will become loyal customers. Whether you’re promoting amazing body treatments or a new line of luxurious skincare lotions, I can help you navigate the online marketing world to get the best leads possible. So What’s a Landing Page and Why Is It Important? A landing page is exactly what it sounds like-it’s a web page within your website that internet traffic ‘lands’ on when they arrive from any source, like a Google search. As such, a landing page is the face of your spa business because it’s the first thing potential customers see when they click on a link to your website. You want it to be optimized with the correct information, reflect your brand and entice customers to click on links for more info or email/call you with questions. If it isn’t optimized, you could stand to scare people off instead of building trust and creating a positive relationship with your customers AND you could stand to lose a lot of money. How would you lose money? Well, consider this: let’s say your spa site sees 1500 internet visitors/month. You’d be lucky if 10% of these visitors (roughly about 150) book a treatment through your site. If their average purchase is $120, you’d be seeing approximately $18,000/month in revenue from your page. If you implement one of the optimization strategies I’m going to be talking about, your landing page’s conversion rates will increase roughly by 25%, which is an increase to 12.5%. This means that your monthly revenue from that landing page has the potential to increase to approximately $22,500/month. Over the span of 12 months, that’s an increase of over $200,000 per year. That’s quite the increase in revenue! There’s 5 crucial things that your landing page definitely needs to have that I’m about to tell you and also show you some examples of spas that are definitely rocking their landing pages and others that really aren’t. As you probably know by now, anyone looking for a spa in their local area spends some time surfing the web, looking for the one thing that sets a spa apart from their competitors. That’s why your spa’s value proposition is so important-it’s the one aspect that’s unique just to your business and that makes your spa stand out. The details that you need to know stand out prominently and the color scheme used in the promotional USP also indicate exactly what time of year the spa promotion is for. Your USP as the headline and an attractive eye-catching landing page image should be the first thing that your web traffic sees. Your USP and landing page image should grip your audience and entice them to click through your website, email or call you to see more. After all, you have a maximum of 5 seconds to convince someone your website is worth looking into. So unless your headline is intriguing, shows value or promotes something they can’t get elsewhere, they’ll be more likely to just move on. • We’ve Been Voted the city’s Top Mobile Spa for the 4th Year in a Row! • The city’s first certified vinotherapy regime! • Book your holiday party to receive 20% off on all skincare products from now until Dec. 24th! Any visuals you use for your spa landing page are also very important. The image needs to convey how you want your customers to feel: relaxed, comfortable and maybe even a certain amount of envy for that luxurious experience. In order to invoke these emotions, you need to spend some time and energy researching the right image because the old adage of “a picture is worth a thousand words” is true. The right image can say more than any words or even a price point can. Do consider the colors in your image as well. Warm colors like red, orange, pink and yellow invoke comfort while cooler colors like blue, white and purple promote relaxation. By featuring people in your image, it helps to make your spa more likeable and relatable and it also goes a long way to helping to cultivate that envious feeling you’re going for. Your image also needs to focus on your USP. If you’re a standalone treatment spa, incorporating images of your treatments will make the USP more relatable and enticing. If you’re a hotel spa, focusing on images of your treatment rooms gives the impression of luxury that you want to invoke in customers. By incorporating more than 1 image, you can feature different parts of your spa and show more of what you have to offer. You should definitely focus your landing page on one single call-to-action, but just having a USP headline with an image isn’t going to be the deciding factor in whether they move through your website for more info. You need to give them a few links with more info to give them access to what they really want from your landing page. • Relax with personalized treatments just for you! • Book a couples’ treatment to celebrate your engagement or anniversary AND get a free pass to our Hot Springs Pool! 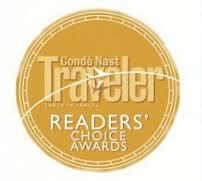 • We’re honored to have been award a Platinum Star for Best Spa in the City by Seattle Times! Let’s be fair, you’re not the most trustworthy source when it comes to how awesome your spa is. After all, you have a vested interest in seeing your website do well and visitors to your website are probably naturally skeptical of the things you say, even if they’re not consciously aware of that skepticism. As you can see here, the value of engagement is clear with a large USP, there’s also a CTA that’s bold, stands out and makes engagement easy. There’s even further info available if a visitor is looking for a bit more regarding what to expect from a consultation at the spa. A great subscription page is all about communicating value. Committing to monthly or weekly communication in the form of an e-newsletter is more of an ask from visitors rather than a coupon. So it’s beneficial to show them what they’ll be receiving. This example of a subscription page is a great look at how their ‘ask’ is bookended by more info on the benefits they can expect from signing up for a newsletter. Communicating with a customer over and over increases the chances that a lead will buy and the process to convert a repeat customer to a purchase is 600% cheaper than converting a first-timer. Online advertising is one of the most targeted and trackable ways to reach your audience. You can analyze who sees your ads, who’s clicking through them and in turn, how much a PPC (pay-per-click) campaign is costing you, which is your ROI. I’ll be showing you how to attract customers to your business and driving them to your landing page through Google Ads and Facebook Ads. Google isn’t just the world’s largest search engine, it’s also the largest advertising audience. Google is where customers go to research a news restaurant, travel itineraries, a great hairdresser and much more. Being seen by your customers at the same time that they’re looking is called intent marketing-and it gets sales. Google Adwords can help give your spa the competitive advantage. Make your keywords relevant by linking the keywords to those you’re already using on your landing page. If you’re promoting a specific offer, make sure you use the words ‘discount’, _% off and type of spa treatment in your ad. The more specific you make your keywords, the more likely you’ll match exactly what your customer is looking for. For example, instead of just using massage, try using deep tissue massage or shiatsu massage. When you’re running your Adwords campaign, try thinking about the phrases and keywords that your customers may be using to search for your services. 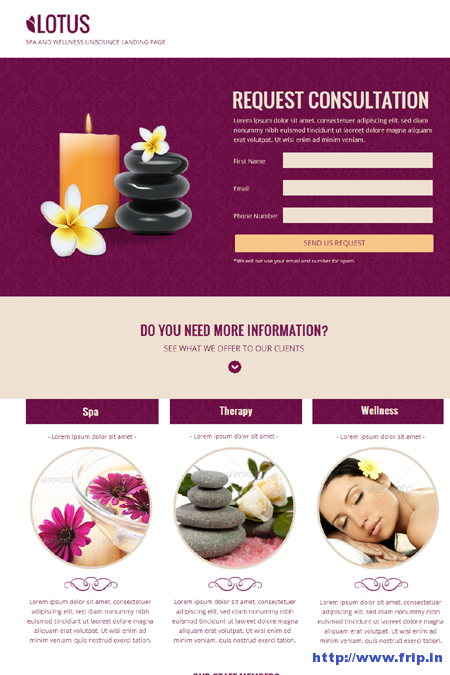 Try creating campaigns with phrases like “how to manage stress” or “spa treatments as gifts”. Adwords also gives you the awesome flexibility to use up to 20 different search terms for each Ad Group and you can create as many Ad Groups and campaigns as you want. Besides keywords, ad copy is what’s going to drive people to click on your landing page. 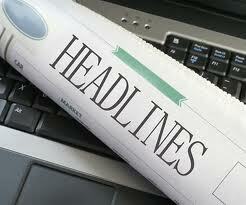 Adwords allows you to have a headlines and up to 70 characters to entice someone to click on the link. • Use your top keywords: Include at least one or two of your keywords to make your ad relevant. It makes it easier for customers to find and it shows that you meet their needs. Select your location and narrow it down further through radius targeting so that you’re only paying for customers in your area that click on your ad, rather than someone halfway around the world. The ROI on Adwords can actually produce $2 for every $1 spent if you do it right. Inside Adwords, all you do is type in the amount you want to spend on a daily basis and you won’t overspend because you’ve put a cap on your daily budget. PPC or pay-per-click is the most common option chosen by small business marketers because your cost is measured by the number of clicks on your ad. You can choose manual or automatic bidding and it’s the default cost option when you create your ad. How do you reach the target audience that isn’t searching on Google? By using Facebook advertising of course and there’s 3 types of ads to choose from: side bar, mobile newsfeed and newsfeed. Side bar ads are the most affordable but have the lowest clickthrough rates, while newsfeeds are the most expensive but have the highest clickthrough rates. You can use one of two pricing structures for Facebook ads: you can choose between PPC (pay-per-click) or PPI (pay-per-impression) which is 1,000 views of your ad. Once you create the ad, it goes into the Facebook Ad Auction. The Facebook Ad Auction works like this: After you set your maximum bid, your ad competes in the auction against other ads for the same target audience. How many people in that target audience view your ad is dependent on your ad budget. If your target audience isn’t in a competitive market, the amount you need to bid to reach them will be lower, but no matter what your bid is, your ad WILL get shown to a portion of the audience. There’s 8 primary objectives to choose from for Facebook Ads: Page Post Engagement, Page Likes, Clicks to Website, Website Conversions, App Installs, App Engagement, Event Responses and Offer Claims. Depending on the goals you have for your spa, you’ll be most interested in Page Likes, Clicks to Website, Website Conversions and Offer Claims. • Voted Top Hydrotherapy Spa in 2013! • Click here to check out this offer! You can target your Facebook Ads in such a way that makes it easier to receive a return-on-investment. Demographic targeting ensures that only potential customers in your geographic area see your ad, which saves you from wasting money. You even expand the demographic to include people who work in a certain industry or make a certain amount of money. You can also use precise and broad interest targeting. Precise interest targeting allows people who actually looking for spas to find your ad. Facebook has both broad and precise category interests based on the things people have Liked, changed or put in their profiles. All of this is public info you can use to target your audience more specifically. Precise interest allows you to target people specifically looking for hot stone massages, hydrotherapy or mineral spas while broad category targeting is based on info taken from a person’s About section or on their Timeline. You could target people who enjoy outdoor activities like golf or who have pets. You can also have custom audience targeting which gives you an opportunity to re-capture lapsed customers and/or encourage current clients to continue coming to the spa. You can import existing customer emails, phone numbers/contact database into the Facebook Ad tool. Facebook actually find the profile associated with the email or phone number itself and allows you to target a specific Facebook Ad to a custom audience. There’s even something known as lookalike audiences that you can target. It’s similar to your custom audience and Facebook takes your custom audience list, analyzes their profiles. Facebook then looks for users that have the same demographics, location as well as precise and broad category interests. So you’re getting leads from your landing pages, now what? Depending on the type of landing page you have, your leads might become customers immediately or they might need a little nurturing. Whatever your campaign objective, you need to build a positive relationship with your customers. The best-and most cost-effective-way to keep your prospects connected with you is with email automation campaigns. Email automation campaigns can be personalized if done correctly and essentially email automation is a series of timed emails that are sent to people after they perform a specific action. 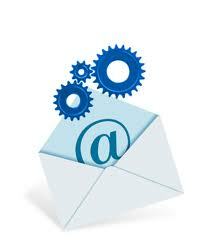 In this case, the specific action is giving you their email address through your landing page. How Do You Use Them As Part of Online Marketing? 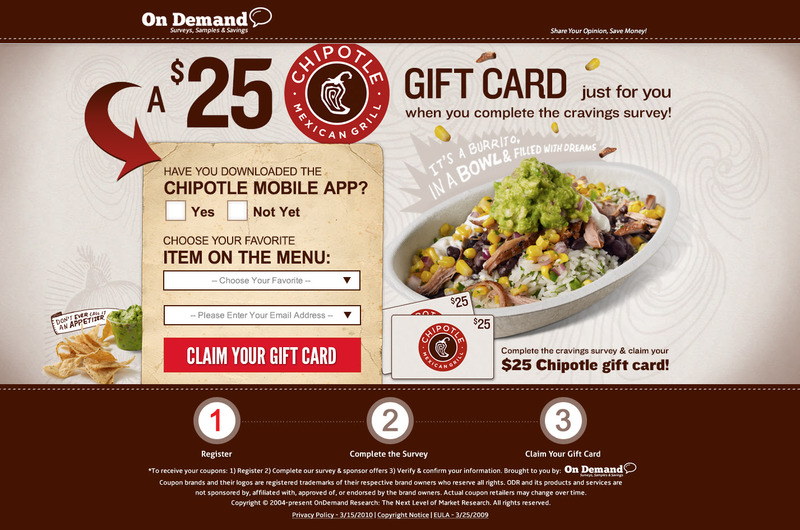 Once a potential customer signs up through your landing page, send out a series of 4-6 emails. Set up your email automation campaign to send the email immediately after they sign up. Then schedule the next few emails to send to your leads over the next few days. Segment your email marketing automation campaigns to send out targeted emails such as different email automations for each landing page that email was triggered from. No matter which email automation platform you’re using, there’s a few key things that you need to remember. Any activity based email automation campaign is only triggered by a visitor’s actions, so if a potential visitor doesn’t enter in their email address or click a certain link to trigger the first email, they won’t receive any of the other emails in the series, either. Also, once you pull the trigger on launching an email automation series, you can’t make changes to the workflow by changing the order of the emails or your subscriber list because doing so would directly affect the subscribers already receiving the emails. You can however, add new emails to the end of each workflow without changing the order. The step-by-step instructions I’m going to give you to set up an email automation campaign will be using MailChimp, but keep in mind that any program you use will be as straightforward. First you navigate to the Automation Workflow page and click on the create Automation Workflow button to get started. Click on the ‘which list do you want to use?’ drop-down menu to choose which mailing list you want to get this series of emails. 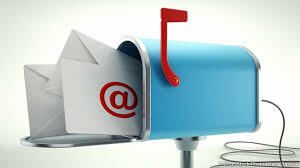 You can choose any mailing list you think fits for the series of emails. Next, you have to choose the workflow type. You’ll want to select the subscriber events workflow. Subscriber event workflows are based on subscribers signing up or being added to a list and can be sent immediately after the trigger event happens. Minimum send time between emails in a series is one hour, but you can spread them apart by a few days if you so choose. 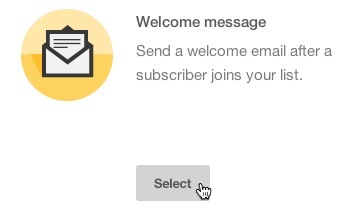 Then a Welcome Message can be sent to those on your mailing list that have signed up or clicked on a link. Once you select the subscriber events workflow, you’ll be sent to the Setup menu where you can fill out the Workflow configuration menu, where each workflow has a name so you can organize them internally and you input the sender’s name and email (so people recognize your company). Make sure you also click the send activity digest email check box to receive a daily email with reporting data for your workflow. On the Trigger step, you can segment your list and make other choices about the workflow queue. Under the Build workflow heading, click the Add segmentation Conditions option to set segmenting options. Select any or all from the Subscribers match any/all of the following drop-down menu. The Any option will add subscribers to the segment who match at least one of your segmenting conditions. The All option will add subscribers to the segment who match all of your segmenting conditions. For workflows with signup-based triggers, check Trigger workflow to include subscribers in the queue who you imported via a list import. This includes importing from a CSV file or from Excel. On the Emails step, add and design emails, organize them in your workflow, and tell MailChimp when each email should send. On the Confirm step, look over the Pre-delivery Checklist and test your emails if you haven’t already. When you’re finished reviewing, click Start Workflow. Next it’s time for you to create your emails. When you click Add Email, it will take you to the Email Designer where you input that name of your email series, the email address as well as the name you’re sending the series from. You can use Automation merge tags in your subject line to automatically display what number each email is the automation order. If you reorder your emails, the merge tag will update with the new position. On the Template step, choose your layout from Basic templates, Themes, Saved Templates, or Code Your Own. Click Select next to the template you want to use. Click Next to design your campaign in the Email Designer. Click Finish to return to your workflow timeline. 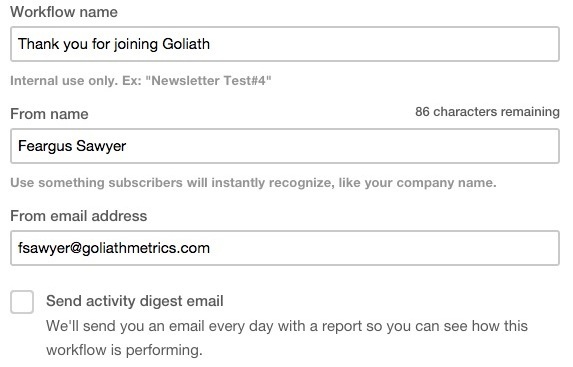 The first email in your workflow will send when a subscriber meets the trigger criteria. Generally, delay times for subsequent emails are based on what time the previous email starts. To set the workflow timeline, you’ll have to navigate to the Emails step and click the change delay button. Then you choose when you want the email to go out by choosing a day, month and time or start immediately. If you want to apply the same delay to all the emails in your workflow, check the box next to Apply to all. You can send a Test Email at any time just to make sure it’s working. And that’s how you set up an email automation campaign. 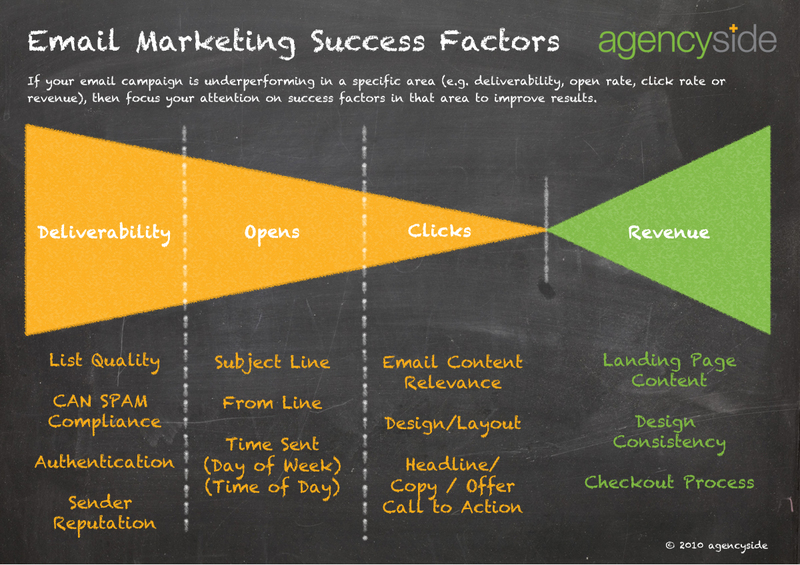 But what makes a high-converting, successful email automation campaign? Your subject line and the body copy of your email are going to be the keys to getting people to open your emails, read them through and click through your links. Your subject line is going to be the first thing that catches someone’s eye and compels them to open it. If it doesn’t-your email will end up in the junk mailbox. Be specific and on point-Keep your subject lines to the point and be clear about who you are and what you’re offering (ie. Get 25% off Body Treatments When You Book Before January 4th!). Show Your Benefits-Make sure you express your benefits to the customer. If you’re giving them a discount, make sure you indicate that in the subject line so people know right away. If you’re marketing a new line of products that includes shower gel, body lotion and shampoo, tell them the benefits quick before they delete the email! Example: Rejuvenate Your Skin! Solve a Problem-Show how you’re solving customer problems in your subject line. The more you can satisfy the needs and desires of your customers, the more likely they’ll be willing to read further. Example-Give the gift of relaxation this Christmas with a gift card from SpaABC. Ask a Question-Your email will be opened if you ask leads personalized questions and then link to the landing page in question. It will pique customers’ interest and get your email opened. Example: Feeling Stressed? Come in for a quick massage during your lunch break! 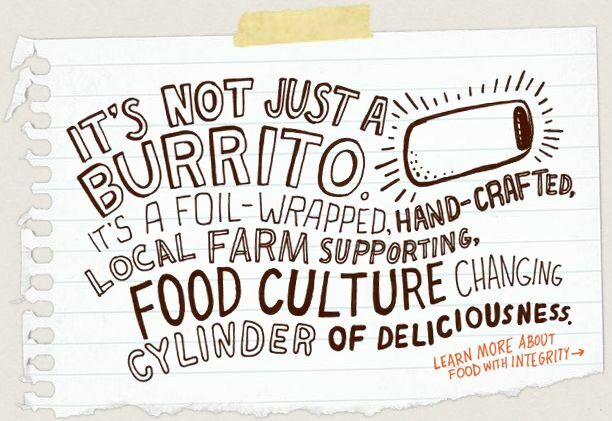 Stay on Topic-Write copy that’s related to your landing page campaigns. This means creating different email automation campaigns for each of the marketing landing pages. 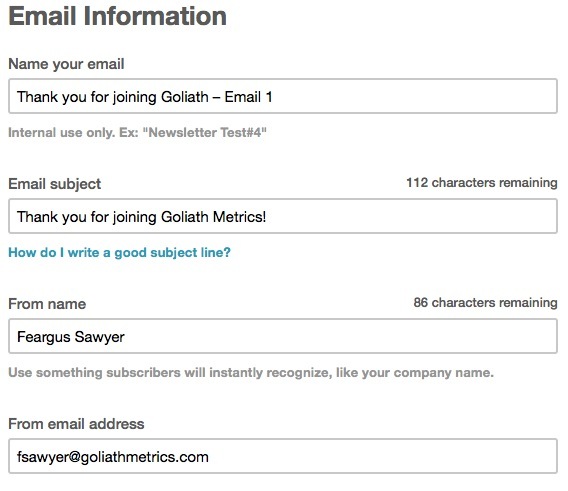 Be Personal & Personalized-Use your future customer’s name in the email body. Include additional personal information you know about them such as when they last visited etc. If you gave them a coupon, mention the coupon and how they can use it with you. 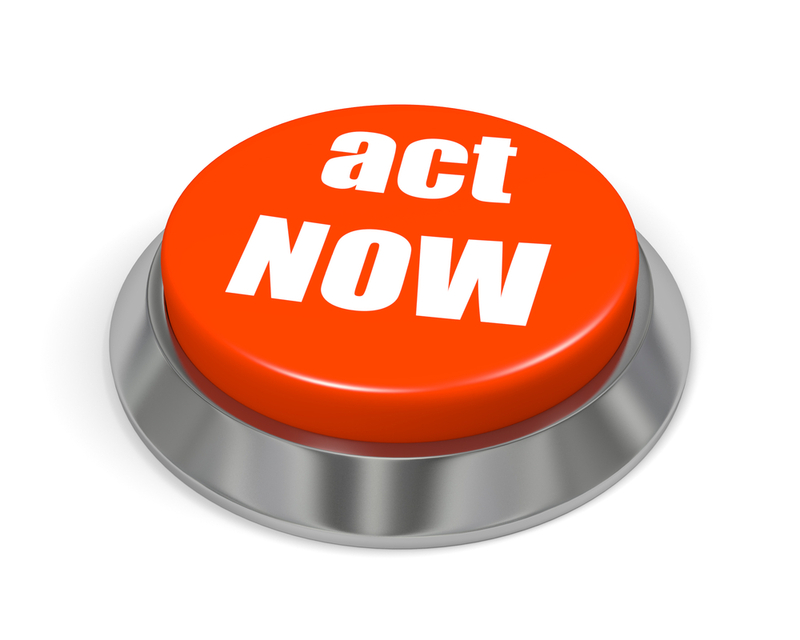 Make clear Call-to-Actions (CTAs)-Your CTA needs to stand out in your email campaigns. Use contrasting colors, short action-oriented words that creates a sense of urgency. Don’t be salesy, but ultimately get the sale-The way to gain sales is by developing relationships. You can certainly upsell and email about your other services and product offerings but always think of email marketing as deepening your customer relationships. Be real, friendly and useful in solving customer needs. Bonus Tip: Personalize the “from” line. Use your own name and email address rather than a generic one. It helps customers feel as though they’re connecting with a real person, not a computer. Want more tips on how to successfully market your business? Stay tuned for more posts on content marketing AND in the meantime, check out my post on How to Be Your Own Storyteller & Succeed in Inbound PR!